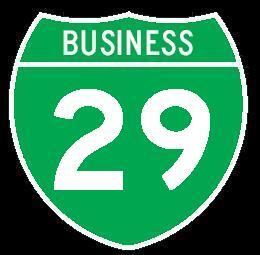 Business Loop Interstate 29 is the surface through route in St. Joseph. BUSN. Loop I-29 passes thorugh the downtown portion of the town. BUSN Loop I-29 passes through the following towns in Buchanan-Andrews Counties. BUSN Loop I-29 is multi-plexed in Buchanan-Andrews Counties. U.S. Rt. 169, at St. Joseph. 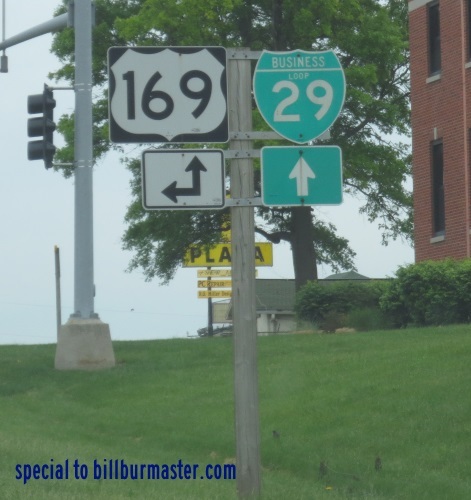 BUSN Loop I-29 intersects the following highways in Buchanan-Andrews Counties. 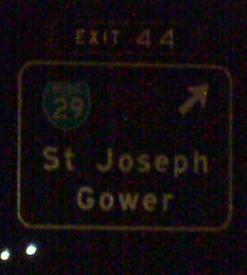 Interstate 29, at St. Joseph. U.S. Rt. 71, at St. Joseph. Missouri State Route 371, at St. Joseph. U.S. Rt. 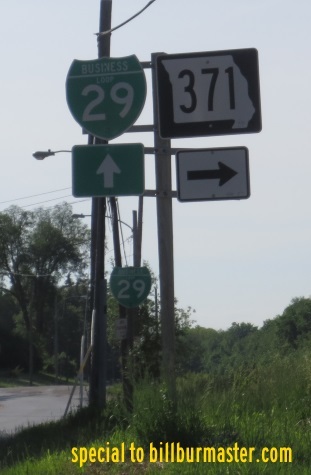 36, at St. Joseph. Missouri State Route 6, at St. Joseph. Interstate 29, near Country Club Village. U.S. Rt. 71, near Country Club Village. BUSN U.S. Rt. 71, near Country Club Village. BGS on NB I-29/U.S. Rt. 71.